Safety tape F30 is used as slide-stopper for all smooth and slide surfaces. Our Safety tape F30 is made of a PVC tape with a slide stopping rub off resistant aluminumoxyd emery paper. 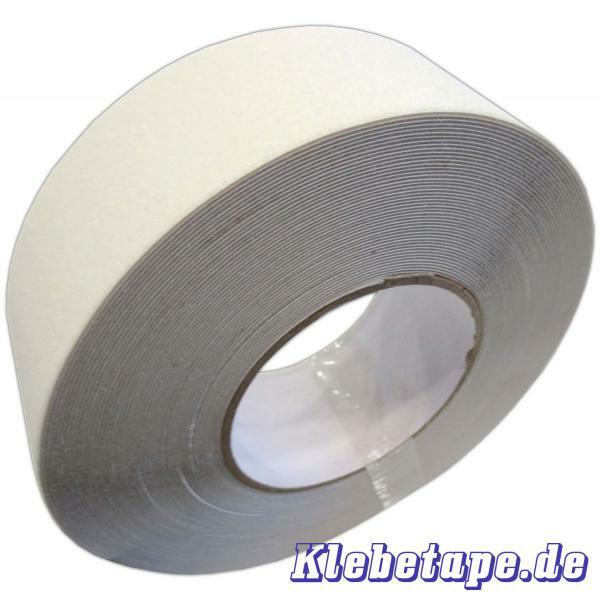 Safety tape is coated with a heat resistant acrylic adhesive. It is water resistant and UV-resistant and can be used in- and outdoor. Safety tape F30 is used as slide-stopper for all smooth and slide surfaces e. g. stairs, ladders, etc. It sticks on very different grounds and adapt on unevenness.